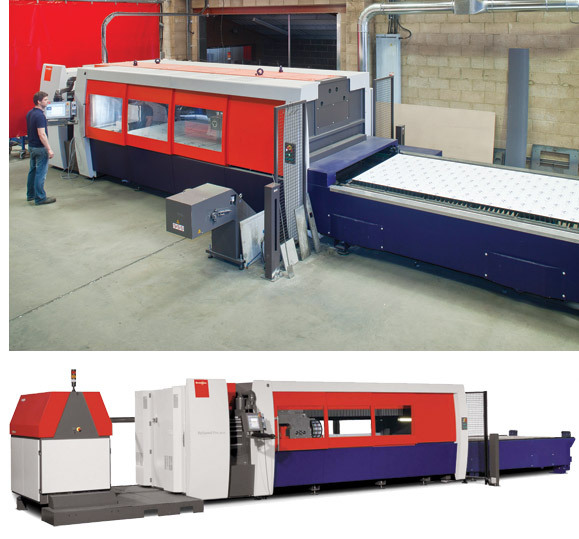 Mill Stainless Stockholders ltd. have just taken delivery of our new Bystronic Byspeed Pro 6KW Laser Cutting Machine. The head is automatically changed by the machine and the focal length is constantly monitored giving a more reliable, consistent cut. To allow us to bring down our lead times. To move the parts that 'fall through' the machine out of the way so as not to damage them. Sets nozzle alignment automatically and dynamically giving more consistent cut.